I saw a post on OhDeeDoh yesterday talking about the Disney Replacement Program and there was some info lacking, so I dug up my post from 2009 and thought I would share it with you again. My kids have outgrown the DVD ruining stage, but it is handy info just in case. 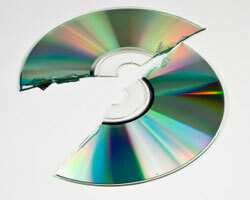 If you own a Disney DVD or Blu-ray Disc and it gets damaged, before you pay full price to replace it at the store, check out the details of having it replaced by Disney for a portion of the cost. For $6.95 for DVDs and $8.95 for Blu-ray, you send in your damaged disks and they send you a brand new movie. You can check out all of the details on replacing your damaged Disney movies HERE.